I have become a podcast addict. Before going on my recent vacation I decided to download a few podcasts that vowed they would help me improve my business, life and travels. I know I may be going a little over the top here, but podcasts are the future, I swear. I love reading blogs and writing blog posts, but nothing beats being able to go on a long walk while listening to your favorite podcast. While you're doing your chores or cooking! Podcasts allow you to multi-task while learning. You can work and listen, walk and listen, even breastfeed and listen! You don't have to take time out of your daily routine to sit down and learn. Podcasts allow you to become closer to the people talking. This week, I listened to about 10 episodes of a certain podcast. Before I knew it, I had become addicted to the host's personality even though I had come across her site dozens of times before and had never really been interested. By hearing her talk and listening to her tips and opinions, I grew to trust and admire her as a leader in her industry. I went straight to her website, subscribed AND purchased her latest book. Basically, podcasts are relationship builders! If you want to grow your readership, get featured in a podcast! Almost every time I'm introduced to a new entrepreneur through a podcast interview, I head to her site and sign up for whatever she can give me. Again, it's relationship building. Podcasts help you learn ten times as much stuff in half the time it would usually take you to read a blog post, magazine or eBook. Podcasts help solopreneurs feel less alone. When you work from home it can be a little lonely. You don't have the office chatter, the workplace friendships or the general buzz of your peers like a typical corporate job. When you listen to a podcast and hear the voices of entrepreneurs you admire, you don't feel so alone. While you probably won't catch me doing my own podcast any time soon (my voice is too weird and I say ummmm way too many times in conversation), I have a few recommendations that you will love if you are a creative entrepreneur who wants to work smarter, not harder, so you can grow a profitable and fun business. 1. The Suitcase Entrepreneur. Natalie Sisson of The Suitcase Entrepreneur hosts a really helpful podcast that discusses travel AND business. She runs a 6 figure business while travelling the world and living out of a suitcase. If you're a keen traveller then you'll love her podcast. 2. Being Boss. This podcast is specifically for creative entrepreneurs. The Being Boss hosts, Emily and Kathleen, both run successful branding & web design businesses and they discuss business tactics and tips in their podcast. I listened to about 10 episodes of this on my recent break. Their fun and insightful girls who will have you addicted to their podcast in no time! 3. The Chalene Show. After listening to Chalene on Being Boss, I knew I had to hop over to her site and check out everything she's ever made. She's really strong and confident and discusses confidence, goal-setting and business on The Chalene Show. 4. How They Blog. If you're interested in starting a blog or you want to take your blog to the next level, this podcast will help you. Kat Lee interviews bloggers and gets them to share their tips and strategies with the listeners on her podcast, How They Blog. 5. The Travel Freedom Podcast. I love travelling, so when I heard Tommy and Megsy of The Travel Freedom Podcast being interviewed on The Suitcase Entrepreneur, I was immediately interested. This couple decided to use the money they'd saved for a house on travelling the world, and they also run an online business together. If you want to work for yourself AND travel, you'll love this. 6. Smart Passive Income. Pat Flynn answers questions from readers on his podcast, and it's alllll about creating smart passive income. 7. The Lively Show. Hosted by Jess Lively, The Lively Show is really conversational and upbeat. Jess interviews small business owners and bloggers and discusses lots of topics on the minds of female entrepreneurs and everyday women. 8. After The Jump. Hosted by Grace Bonney, founder of Design*Sponge, After The Jump is one of my very faves. Grace gives amazing, strategic advice on how to run a successful business. She gets into the real cost of business, how to market your brand, how to handle the emotional side of working for yourself and much more. This podcast is PACKED with little gems, so I suggested you subscribe ASAP. 9. Adventures in Design. If you're creative then you're sure to love this. Adventures in Design is hosted by Mark & Beth Brickey. iTunes describes this podcast as “Graphic design gossip and artistic growing pains through the eyes of two handsome DIY poster designers and their friends.” Seriously, does that podcast sound fun or what? I'm a firm believer in only doing things that bring you joy, whether that's in business or in life. Just because podcasts are getting huge now does not mean you have to start one of your own. It's totally OK to be a fan of them without starting one yourself. Just like it's OK to admire pretty Instagram accounts but not have one yourself. Or read amazing blogs but not own a blog. Podcasting is not the only way to get your voice heard and connect with your tribe. Don't do anything in business just because it's the 'in' thing to do. But what if you DO want to start a podcast? 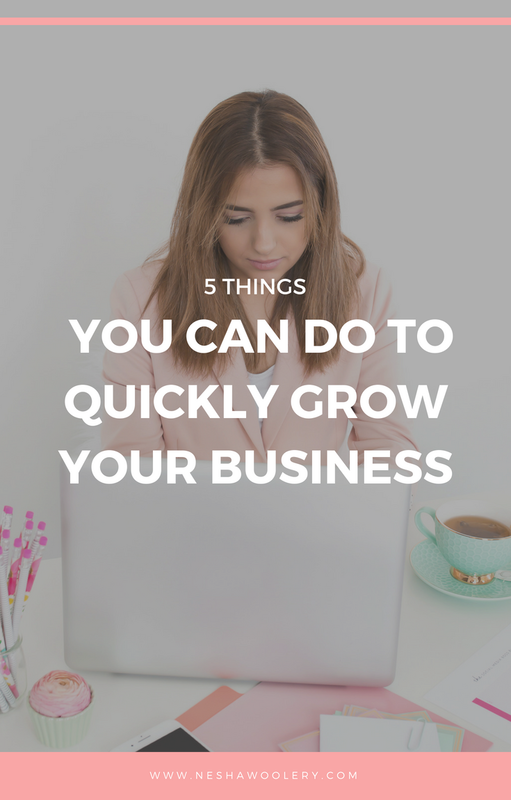 What if it feels like the perfect thing for you, your personality and your business? Well, as an avid podcast listener I have a few tips to help you craft a drool-worthy podcast. One that will actually get subscribers and build your audience of loyal fans. I'm no expert on CREATING podcasts but I reeeeally love listening to them. And since I've listened to about a million, here's what I think makes the perfect podcast. 1. Personality. The main thing that makes me subscribe to a podcast is a host with a big personality. Someone who has a captivating voice and a sense of humor. You don't have to be a chatter box or the life of the party, you just need to be someone I would hang out with in real life. Someone who isn't boring, but isn't stuck up. The best podcast hosts are just themselves. 2. Motivating content & honest opinions. Podcasts aren't just for having fun conversations with your cohost or your guests. Podcasts work like blog posts- they have to provide actionable advice to the listeners, and motivate or inspire listeners in some way. My favorite business podcasts are brimming with advice that help me improve my biz. My favorite travel podcasts are full of tips on where to go and what to do. Make sure your podcast offers your listeners something valuable, not just chatter. 3. Freebies. 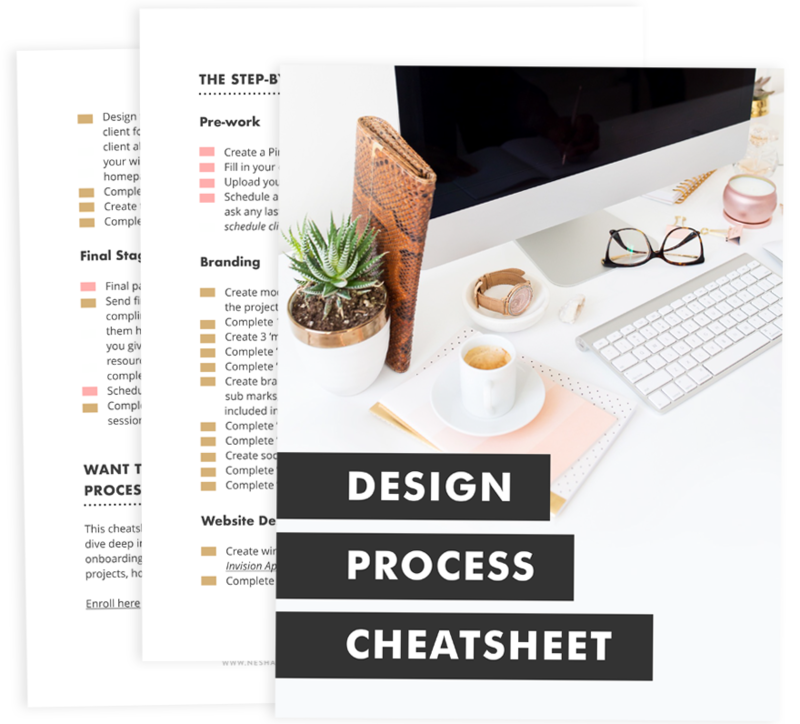 The best way to get podcast listeners onto your list is by creating related freebie and requiring people to sign up to get it. For example, Being Boss did an amazing episode on pushing goals with Chalene. It was that amazing that I wanted more. And they gave me that! They offered their listeners a related worksheet if they signed up. Of course, I HAD to have that worksheet so I signed up. 4. Special guests. I love finding a new creative entrepreneur to inspire me- everyone does! Podcasts can get a little boring if you're always listening to the same person, so it's nice to feature special guests with specific talents. 5. Fun! If you're not having fun with your podcast, your listeners won't have fun either. I love podcasts that involve the hosts have a laugh and joke with each other. I love hearing giggles and 'inside jokes'. I love when a host says something they probably shouldn't have. I love the fun and real aspect of podcasts, because it draws me closer to the hosts! It makes me feel like I really know them. And of course, the closer you feel to a host, the more of their stuff you want to buy! Podcasts are becoming increasingly popular. If you think you have something valuable to share in your very own podcast, step up and go for it! Don't be afraid to take chances when it feels right. If it doesn't? Don't worry. You can make your voice heard in other ways- it's just a case of finding the right way. Referrals from others in my niche. I've tried a million different ways of getting clients: cold emailing, Twitter, LinkedIn, guest blogging, Facebook ads, advertising... the list goes on. While some of these have worked (I used to have great success in landing small projects through Twitter!) they just haven't worked as magically as the 3 above. Not by miles. 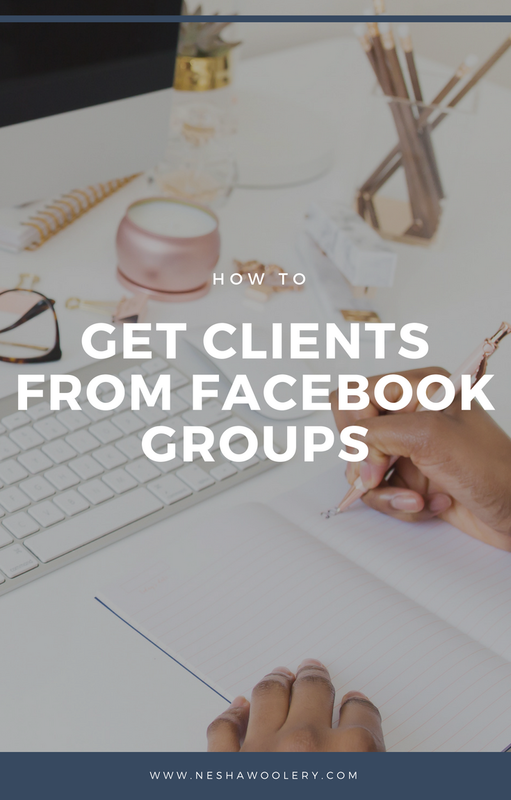 I've already touched on getting clients from Facebook groups. 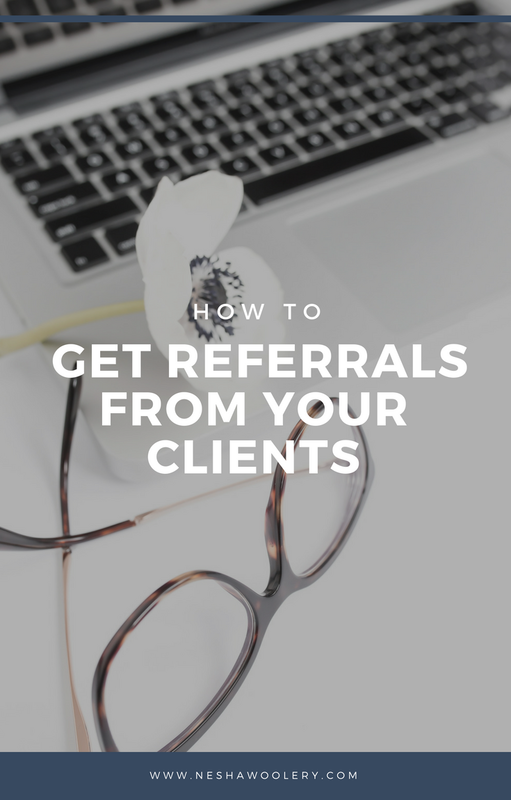 But how do you get clients through referrals? How do you get real people to persuade other real people that you're good enough to take on their project? It seems tricky, but it's not when you try your hardest. Halve the time you spend marketing. Stop stressing out because you haven't booked enough clients. Take time off and still get plenty of inquiries in your inbox. Book more clients and earn more money. Most freelancers who have been up and running for about a year should already have referrals coming in. ...then you should be getting referrals already, and plenty of them! Because when you do all of the above, people will not hesitate to recommend you to their friends and colleagues. People will only refer you if you're trustworthy, talented and efficient. So make sure you're known for being these things! If you're doing all of the above and still not getting referrals, something needs to change. You need to think outside the box. Ask directly. When wrapping up a project, as your client directly if they know of anyone who may be in need of your services. Collaborate. Write to a few friends and offer to send work their way if they send work your way. This works especially well if you're both in different creative industries. Create a referral program. Offer your friends and partners 5-10% of every successful referral. So, if they refer a client to you who buys a $2000 package, they would receive 5-10% of that. I know a few well-known coaches and writers who do this, and it works wonders for them! Offer an incentive. Offer your clients a discount or a freebie for every successful referral. Refer work to others. Only refer work to people you admire, trust and respect. People you genuinely think your clients will love. And when you send work their way, let them know you've done so by dropping them an email or a tweet. It opens up the way to a friendship, which could lead to them sending clients your way. Email others in your niche. Sometimes people email me asking if I will keep them in mind for referrals. If their work is good enough and their email is sincere and modest enough, I do! I'm going to be discussing how I personally find and book clients in The Shelancers Club- an online community for freelance women that I'm launching in April. If you're interested in learning more then sign up for updates before the launch! Last weekI ran a quiet giveaway for The Shelancers Club, and this week I chose a winner at random: Nicola at Belle Noir Loves! I'll be in touch with you soon. Thanks to everyone who participated!